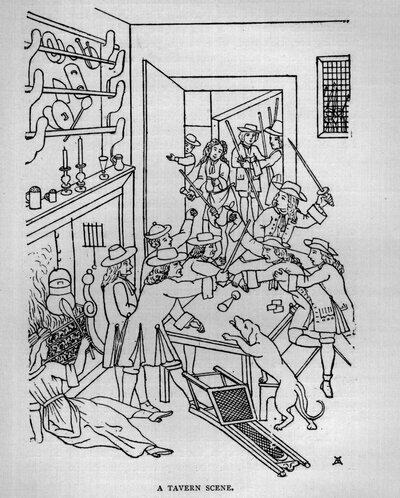 This illustration is from John Ashton "Social Life in the Reign of Queen Anne vol. 1." Send Comment about A TAVERN SCENE.